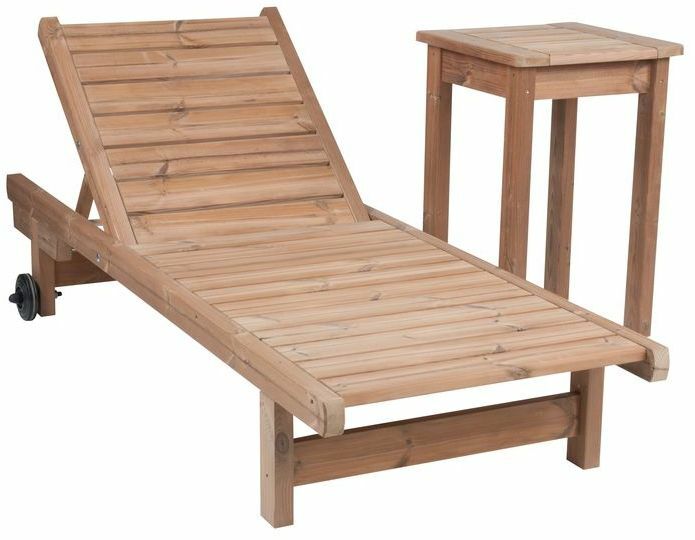 The feedstock for production of wooden garden furniture is the Finnish pine which is processed to the heat-treated wood – ThermoWood® – using thermal and moisture treatment. The material modification process takes places in six chambers at temperatures of 160 - 215°C. 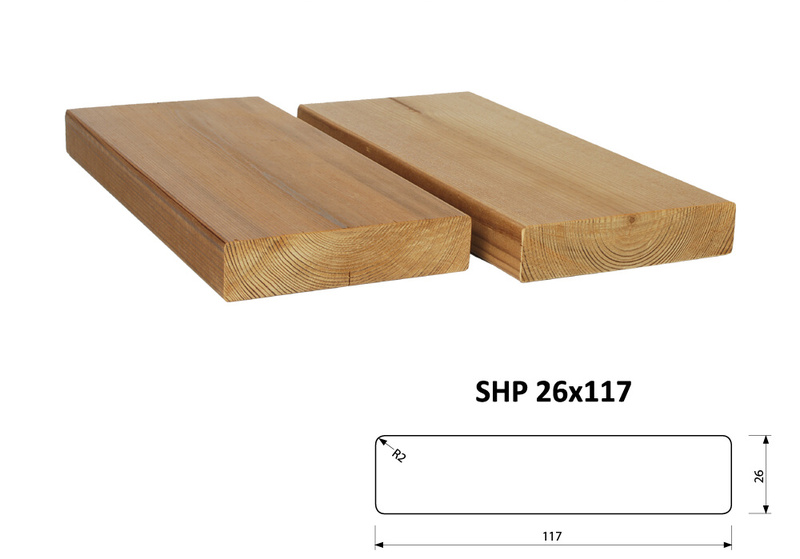 This treated wood has new physical and mechanical properties. 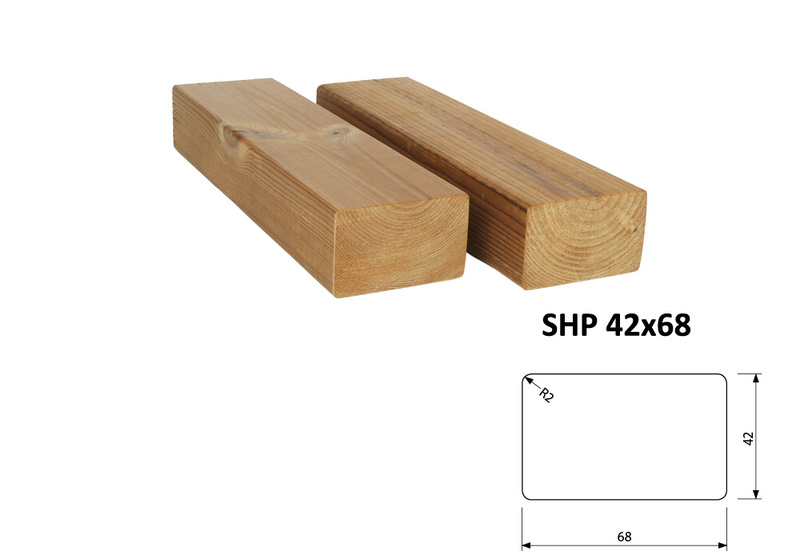 They mainly include longer durability (the minimum lifetime of the material is 30 years), resistance to rot, higher strength and dimensional stability. 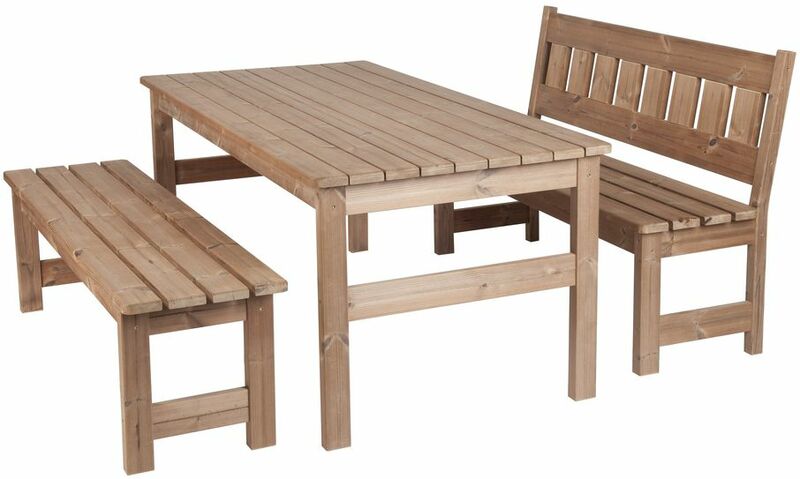 Due to these characteristics we can manufacture highly durable furniture. 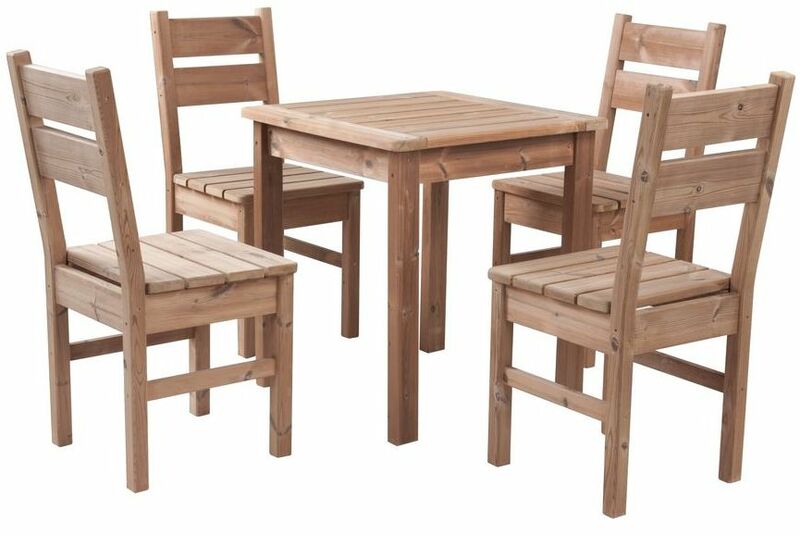 The advantage of our furniture is its high variability. 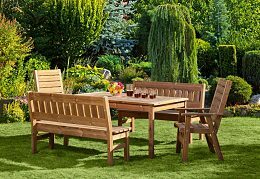 Depending on your financial or spatial requirements you can choose how your garden set will look like. Our products are manufactured and packaged in order to provide simple transport and easy assembly in accordance with the enclosed assembly instructions. 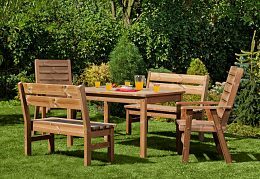 To minimize the damage caused by UV radiation and climatic influences, all surfaces of furniture must be treated with a protective coating and a special care should be taken of the end surfaces (end faces). For treatment of the furniture we recommend using of paints offered by our company. In case you choose the paint yourself we recommend water-soluble pigmented oils with UV protection based on alkyd or acrylic resins. Using of natural-based oils is not recommended. 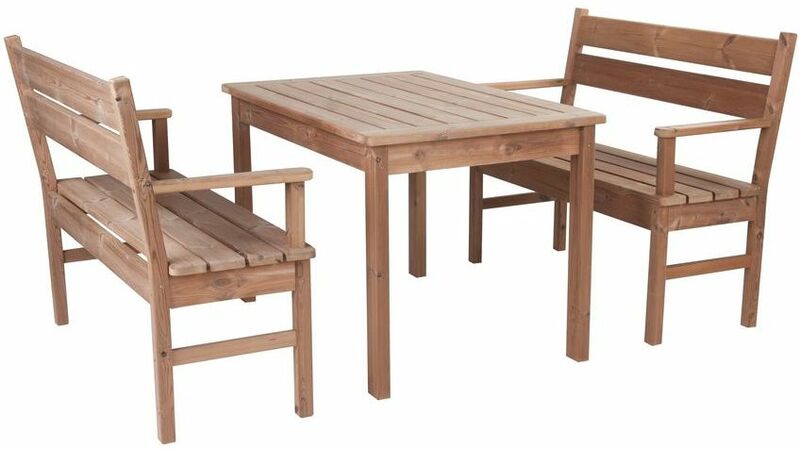 If the furniture is not surface treated with recommended coating there is not possible to guarantee all declared properties of material and appearance of larger than capillary cracks. Our products are absolutely ecological and they do not have any negative impacts on the environment. 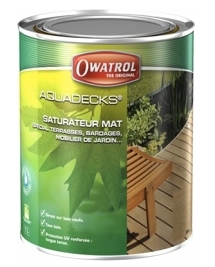 For humid environments such as swimming pools, saunas, wellness facilities, for outdoor use like gardens, terraces, furniture for garden houses and pergolas, for outdoor swimming pools and Jacuzzis or balcony furniture. 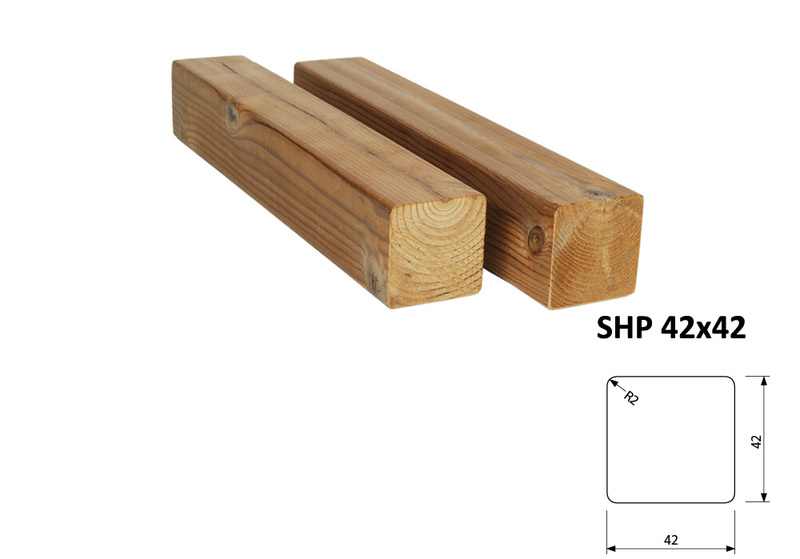 Structural and supporting elements - baulks 42x42 mm, 42x68 mm, 42x92 mm and 42x117 mm. 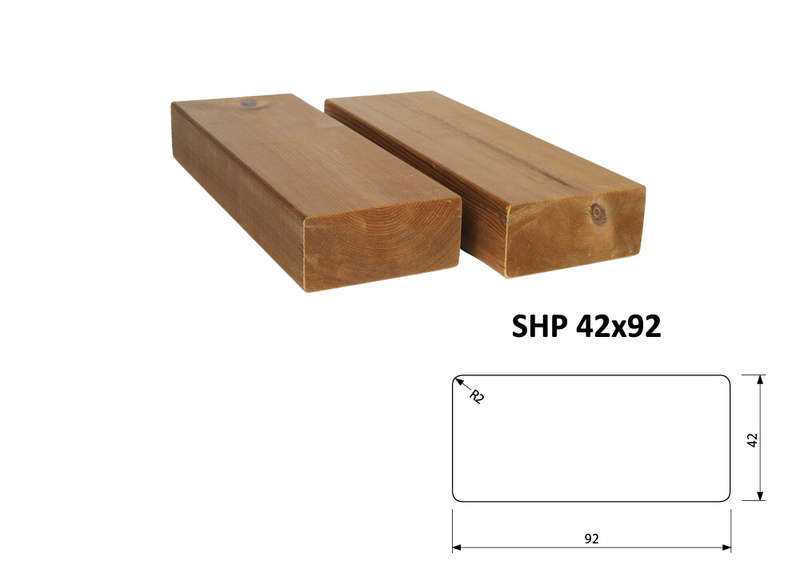 Circumferential and strutting elements (supporting for benches) - boards 26 x 117 mm and 26 x 92 mm. 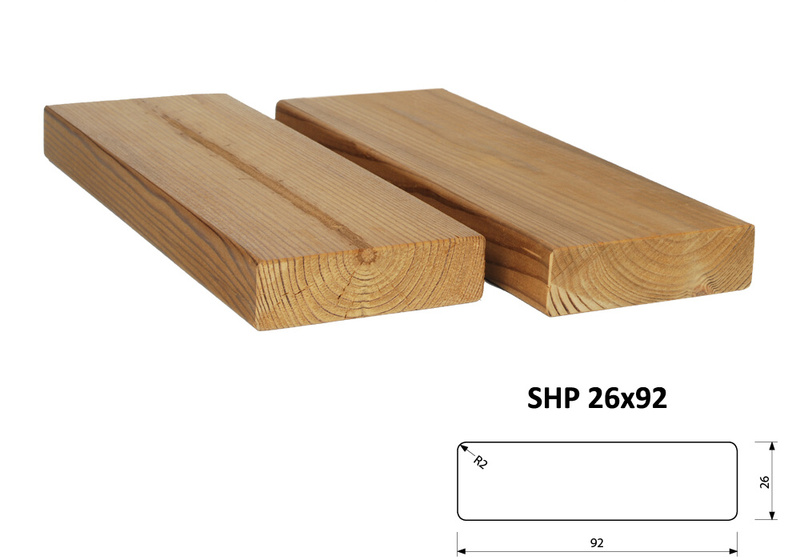 Table tops, supporting and sitting surfaces - boards 26 x 92 mm. 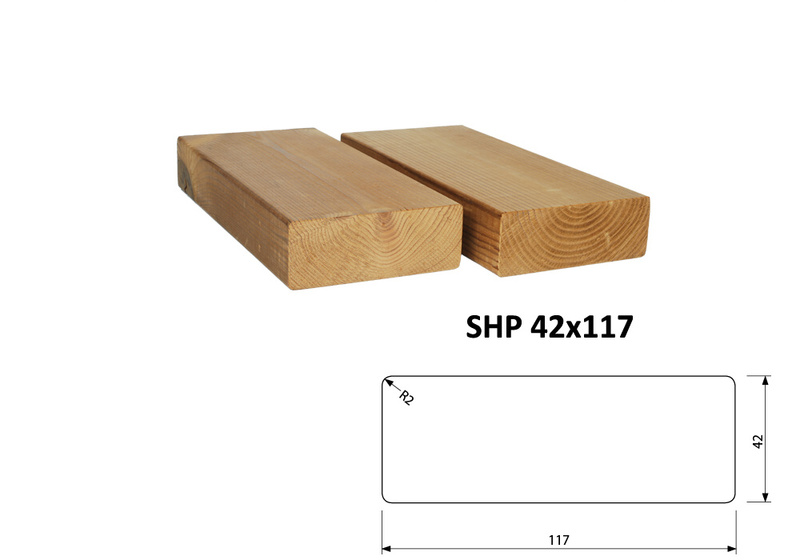 The product is supplied in boxes disassembled and untreated. The package includes an assembly instruction and fasteners.